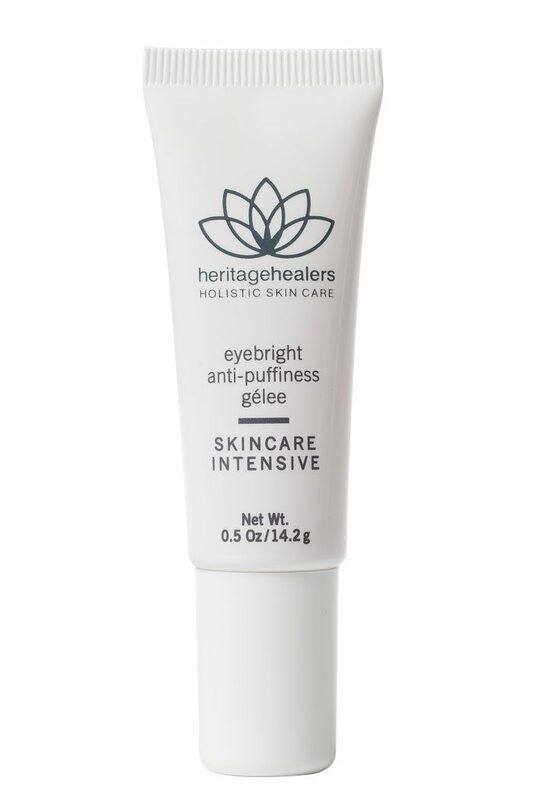 Fight under-eye dark circles, baggy eyelids and sagging skin around the eyes. This cool soothing gel contains clinically proven ingredients, designed to calm swelling and irritation, revitalise circulation and significantly reduce under-eye discolouration. A unique blend of Euphrasia (Eyebright flower), Sea Lettuce, Locust Bean and Evening Primrose extracts instantly make the under-eye area feel tighter and look firmer, while diminishing the appearance of under-eye bags and puffiness. The result is healthy, fresh, youthful bright eyes. INGREDIENTS: Purified Water (Aqua), Glycerin, Triethanolamine, Dipeptide-2, Hesperidin Methyl Chalcone, Palmitoyl Tetrapeptide-3, Anthemis Nobilis (Chamomile) Flower Extract, Camellia Sinensis (Green Tea) Leaf Extract, Cucumis Sativis (Cucumber) Extract, Euphrasia Officinalis (Eyebright) Extract, Glycyrrhiza Glabra (Licorice) Extract, Oenothera Biennis (Evening Primrose) Root Extract, Ulva Lactuca (Sea Lettuce) Extract, Sodium Hyaluronate, Sodium PCA, Ceratonia Siliqua Gum, Hydrolyzed Casein, Trehalose, Polyquarternium-51, Urea, Glyceryl Polymethacrylate, Propylene Glycol, Carbomer, Diazolidinyl Urea, Disodium EDTA, Iodopropynyl Butylcarbamate. Best for mature/dry, normal and combination skin types. Best applied after serums, but before moisturiser.